Criminals have attacked a Lusaka Protective Unit police officer in the early hours of today, Thursday, 10th of January and have in the process killed his wife. Police Service Spokesperson Esther Katongo has confirmed the attack and named the officer as Sergeant Billy Simwamba, 39 adding that the criminals broke into his Makeni Villa residence around 02:00 hours using iron bars. 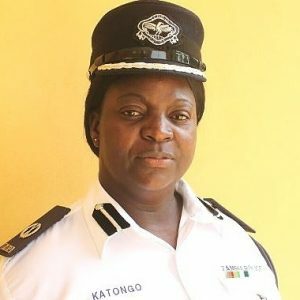 Katongo says Sergeant Simwamba’s wife Joy Mpandu Simwamba, 31, died after sustaining a deep cut at the back of her head upon being hit with an iron bar.The criminals demanded to be given Sergeant Simwamba’s firearm. Mrs. Katongo further said Sergeant Simwamba and his brother Brian, sustained injuries during the attack adding that a manhunt for the three criminals has been launched. The body of the police officer’s deceased wife is at the University Teaching Hospital (UTH) awaiting postmortem.